One of the things I’ve been working on is trying to get my DevOps, continuous delivery pipeline working with Azure. 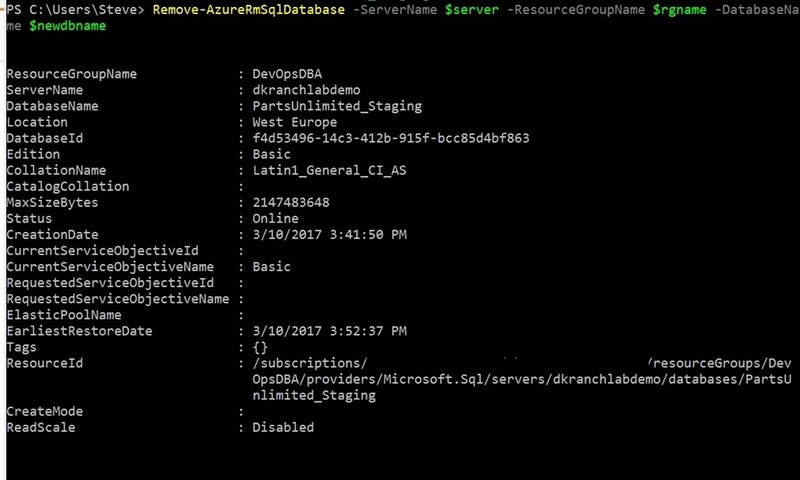 Part of that is a test deployment to an Azure SQL Database, which means I need to be able to update an existing database from a backup. Unfortunately, Azure SQL Database doesn’t support a restore over an existing database (yet). That means one task I have is to remove an existing database, in order to replace it with a new database with the same name. 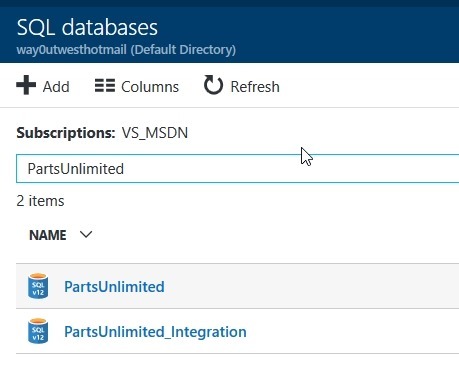 A little work in the PoSh documentation found Remove-AzureRMSQLDatabase, which is just what I need. This gets me an interactive login. I enter my account and password. Since I use a Live account, this won’t work in the pipeline, but it gets me going. From here, I can set a few variables I’ll need. I want the name of a resource group, a server, and a database. In my case, I’ll use a few variables. I call the database the “new” one, since I’ll be using an existing one that I’ll recreate from an “old” one. Here are the results. I’ve blacked out a few ids. 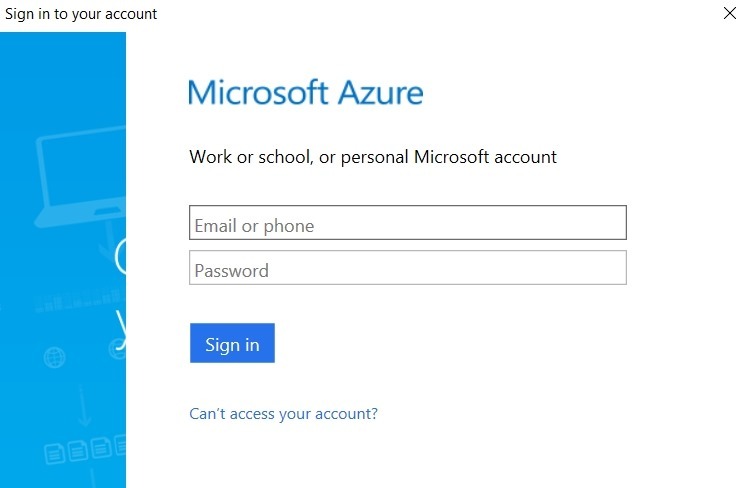 This clears the database, and after refreshing, I can see it’s gone from my list of Azure SQL Databases. Not much to this, but it’s part of a larger scheme, which is getting a copy of the production database and restoring it. This entry was posted in Blog and tagged Azure, powershell, SQLNewBlogger, syndicated. Bookmark the permalink.